In 1915, Albert Einstein first published his theory of special relativity. His new ideas about the connected and relative nature of space-time blew away everything we thought we knew about the universe. For the first time ever, it seemed that time wasn’t just a thing that happened, but an actual property that might someday be controlled. Since then, we’ve been fascinated with the idea of controlling time. Being able to turn the clock backward or forward has been the subject of decades of research, discussion, and debate. And, if you’re like most people, then you’ve probably experienced this first hand. You’ve probably sat at your desk, staring at the clock, willing it to move a bit faster. Our jobs have made most of us painfully aware that we can’t control time (yet!). But it hasn’t stopped us from trying. We’ve concocted all kinds of different strategies and methods for measuring work. We use things like story points to block time into chunks. We use “effort” measurements to try to add another dimension that gets us close to the right answer. These are all approximations or secondary units for what we’re truly trying to measure. Each of these is basically a stand-in that tries to give us some approximation for how much stuff we are getting done and how long it takes us to get that stuff done. They’re all useful tools under certain circumstances, to be sure. But, at the end of the day, the only unit of work that really matters is time. How much time will it take to complete a specific project? All of the tools, metrics, and units that we use to try to contextualize different types of work are ultimately just attempting to answer this basic question. Of course, it’s not a simple question to answer–there are many variables and always unknown unknowns. Nevertheless, it’s important to recognize that time is still the central component of any measurement of work. 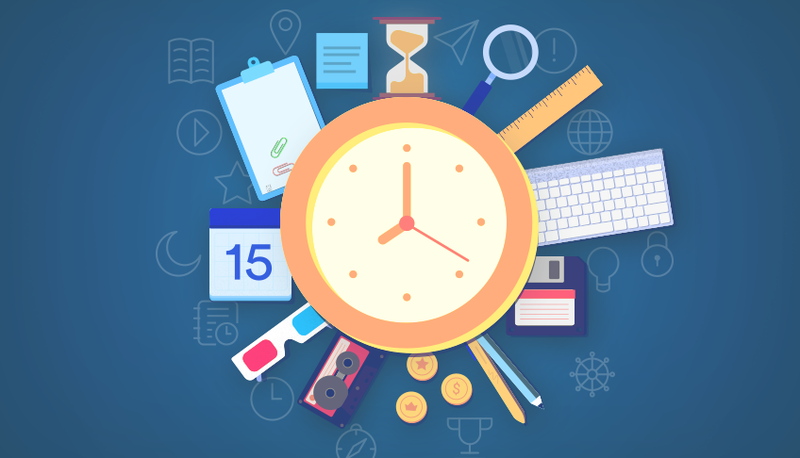 While some people may try to distance themselves from tracking or analyzing time, or obscure the amount of time that is spent on the work that is done, the fact remains that we cannot escape the constraints of the clock. If we strip away the preconceptions and theories about productivity, time is the ultimate, final, and indivisible units of our work–and our lives. The reason that time is the only unit of work that matters is because time is–both existentially and practically speaking–the only resource that is truly finite for us all. If you spend 10 hours working on a specific project, this number means something because of the context of time. The normal work day is 8 hours, there are 24 hours in a day, and the average human lives some 27,000 days in total. In other words, you spent about about .001% of your entire life completing that project. And you can never take that time back. Everything we do in our lives is, in the end, bounded by the constraint of hours and seconds. When you get down to the brass tacks, each of us only has a specific amount of time in our lives. You can attempt to quantify that limitation with another unit--how many story points old are you?–but, ultimately, this is just an obfuscation of what we are really trying to measure, which is how much of this finite resource we must dedicate toward achieving a specific thing. Everything will come to an end at some point in time. We’re going to clock out for the day. We’re going to leave for the weekend. We’re going to take vacation. We’re going to leave this job for another one. There are only so many minutes, hours, or days between this moment–right now–and the moment when we will stop working, leave, or quit. Each of these is, on its own, a finite time box. And these are not easily measured by any unit other than time. If I told you, for instance, that you had 100 story points left to live, that wouldn’t tell you much about the situation at hand. And, in fact, there would still be a ton of variability within that measurement. That could mean 10 weeks or 10 years–dependent, again, on how much time is represented by each story point. Again, we can see the limitation presented by using different units that obfuscate the true number that we’re trying to measure. Looking beyond just the plain and existential nature of time, there is also the role that time plays in contextualizing and measuring everything that we do. For many ways in which we measure our lives, time is the metric that allows us to compare things on a consistent scale. Any measure of performance is bounded by a variable of time. Whether you’re accelerating from 0 to 60 MPH, running 10 miles, or completing 100 story points worth of work, we don’t measure performance in absolute terms.. Any car, runner, or engineer can hit these numbers. But, the best ones accomplish them more quickly. The only way to understand and quantify your ability is to measure these values relative to time. As software engineers, this is also how we gauge our own performance and how it is changing as we learn, progress, and grow. Ideally, we should be able to accomplish more or solve more difficult problems in a shorter span. Within the engineering profession, measuring or tracking time is often seen as a point of leverage and control for management. But, the truth is that time is more important as a way for engineers to measure and analyze their own performance. In particular, time gives the needed depth to how we measure development work. 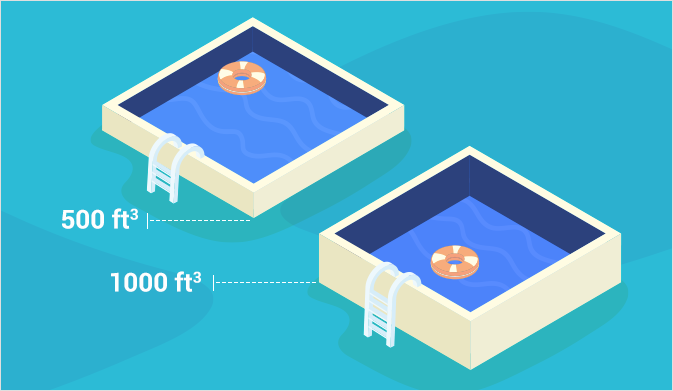 Imagine that you know the length and width of a swimming pool–but not its depth. Then you can’t possibly know its volume or capacity. Development work is much the same way. As developers, work is generally scoped into some unit like story points and effort. But without knowing how long it takes you to complete that work, you don’t really have any way to measure or understand your capacity–your performance. If we add in some fuzzy time metric–like a 2-week sprint–we get some insight into how much work is completed over what period of time. But, even this is incredibly imprecise. Did you work 80 hours over the course of those 2 weeks? Or did you work 120 hours? Again, we see that time and no other unit is the ultimate measure of both achievement and performance. Without the dimension of time, we are blind to any true understanding of our capacity and abilities. But, this also makes time an incredibly powerful device. While the inevitable and inescapable nature of time may seem a bit scary, there’s another dimension to consider. Although we can’t control the clock, we can control what we are able to accomplish within those ever-passing seconds and minutes. This is what we commonly consider to be measuring productivity and efficiency. Most people want to spend less time working. And in many cases, this is only possible if we are able to improve the amount of stuff that we can accomplish within an hour, a day, or a week. If time is the ultimate unit of work, then what we can accomplish is best understood as a relative measurement. By using time to measure, compare, and benchmark our own performance, we’re able to learn, grow, and improve. We can identify tasks that take disproportionate amounts of time. We can see our weaknesses compared to our strengths. Then, we can set out to improve. All the while, time continues to flow. It is a consistent and ever present yardstick for us to understand our abilities and measure our progress. Rather than trying to ignore time, hide it, or act like it’s not a useful metric, we should embrace it as a weapon and a tool for own purposes. Time stops for no one. But you can make sure that every second counts.